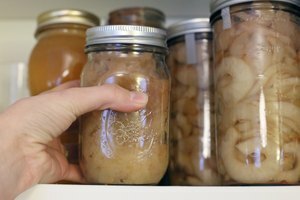 Preserving fruits and vegetables at home saves money. 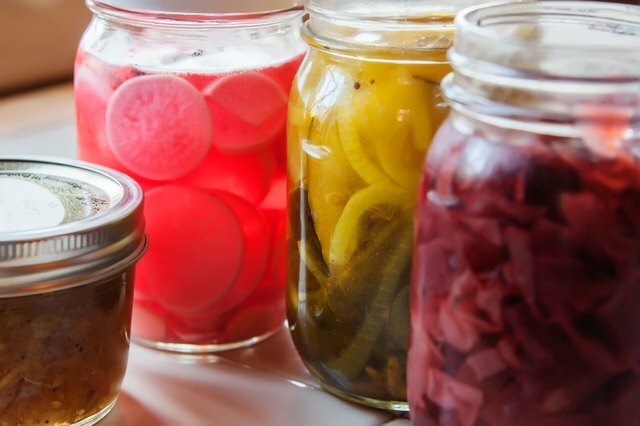 Whether you grow the vegetables yourself, buy them at a farmer's market or take advantage of supermarket sales on seasonal produce, home canning helps you have high-quality, nutritious food even in the middle of winter. 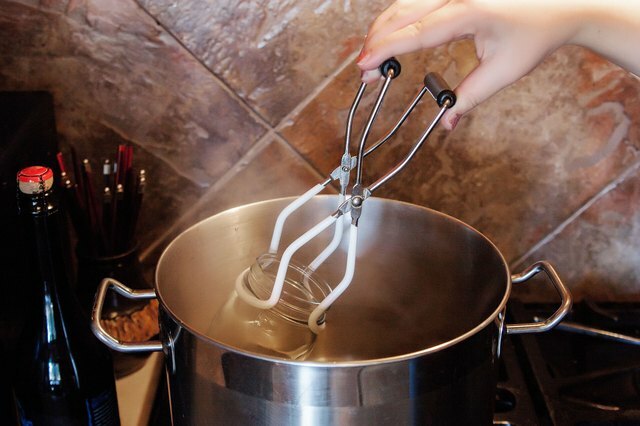 Properly processing your food using a recipe and the correct canning method (water-bath canning or pressure canning) is key to a lasting shelf life. When you follow the method correctly, heat-processing will destroy normal levels of micro-organisms. The vacuum seal that is formed on a properly canned jar will ensure that other micro-organisms do not find their way into the food. 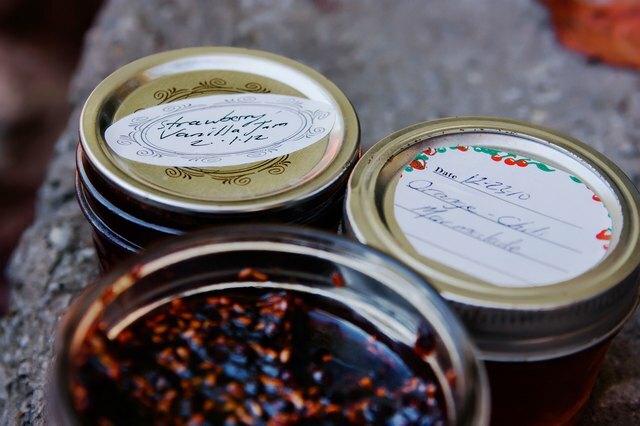 Most jams and jellies that were processed properly will retain their flavor and quality for one year. After this time the color may start to change, depending on what kind of fruit you used to make the jam or jelly. 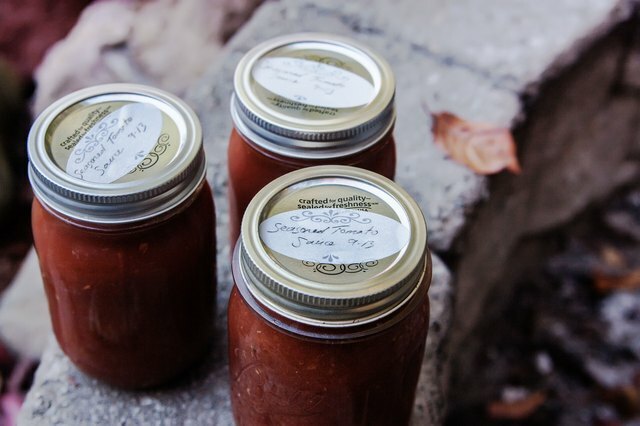 Light-colored preserves like peach or apple jelly will begin to darken. The discoloration won't affect the taste, but some people may find it unappealing. 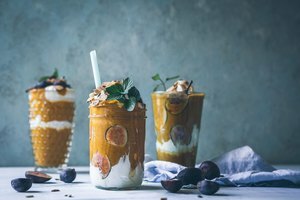 High-acid canned foods like tomatoes, tomato sauce, fruits and pickles or other vinegar-based foods are good for one year. After that period, the quality deteriorates. 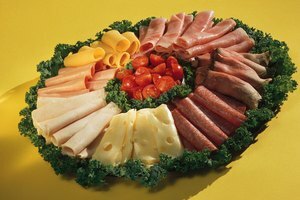 If the food was properly processed, there are no visible signs of mold or spoilage and if the food smells fine it should be safe to consume, but the contents may not taste as fresh. Low-acid canned foods include meats, soups, stews, pumpkin, carrots and peas. The pH level of these canned goods is 4.5 or lower, which means they have a longer shelf life. Typically they will safely last from two to five years. However, it is best to use them within one year for optimum flavor and quality. 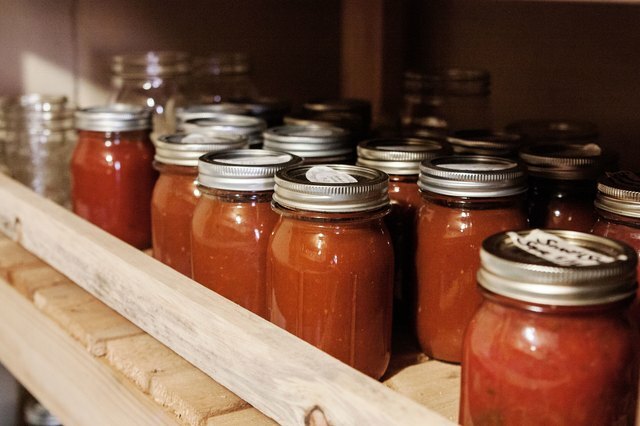 Properly storing your home-canned goods can prolong their shelf life and keep them tasting good. It is recommended that you keep your canned goods on a shelf in a clean, cool, dry spot. A cupboard is ideal. Light causes food to change color and it can also contribute to nutrient loss. The temperature should stay in the range of 60 to 70 degrees Fahrenheit. At temperatures above 75 degrees, food will start to lose nutrients, no matter how well preserved it is. (See Reference 3.) As temperatures rise, the risk of spoilage becomes greater. 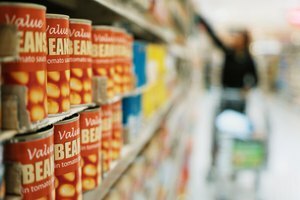 Before you open your home-canned goods, it is important to check for spoilage. Look for any signs of mold. 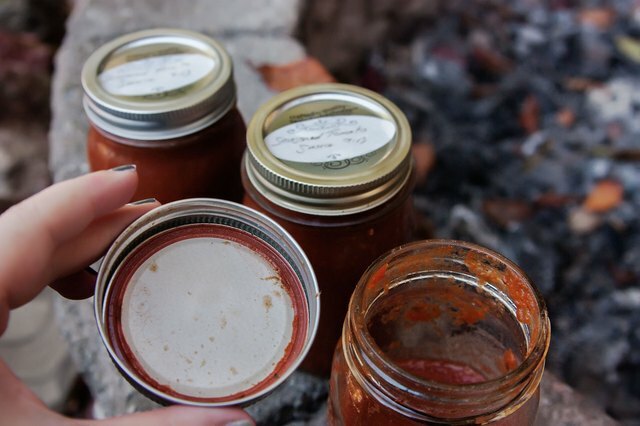 Examine the metal tops and rings on canning jars for rust. If you see either of these things, throw the entire jar away. If the food has a strange odor when you open the can, discard it. Bad smells can be signs of bacterial growth. 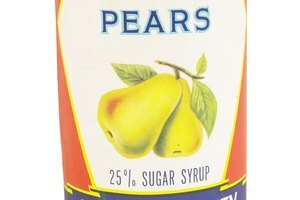 How Long Are Canned Foods Safe?